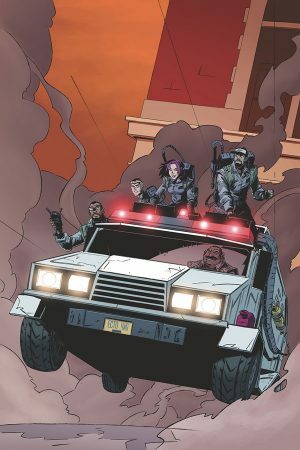 Twenty years in the future, and a new generation of Ghostbusters… is sent on all the jobs Ray, Winston, Peter, and Egon just don’t feel like taking on themselves. The Sanctum of Slime Ghostbusters — Bridget, Samuel, Gabriel, and Alan — have proven themselves many times over… first against the demon Dumazu, and later with the Ghostbusters of many other dimensions in the recent “Crossing Over” event. Now they’re ready for an easy gig, something like a simple haunted house. But they better be careful… you never know Wat could happen. 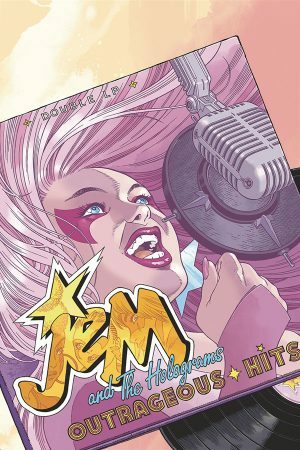 Jem and the Holograms are back with new music, old flames, and good friends in this adventure set 20 years in the future! Join Jerrica, Synergy, and the rest of your favorite holographic gals for a rockin’ reunion that’s sure to please old and new fans alike! 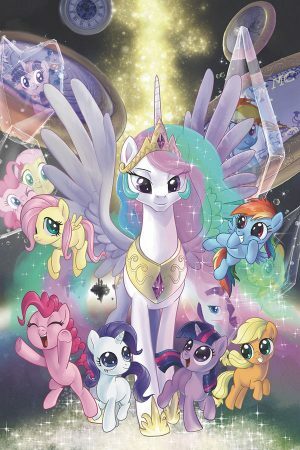 Ponyville’s most courageous and magical ponies celebrate friendship and fun in this adventure set twenty years in the past! Twilight Sparkle, Rainbow Dash, and the rest of your favorite fillies are young foals — surely things can’t get too crazy, right?! One thing’s for sure: no matter what escapades they face, the magic of friendship will see them through! 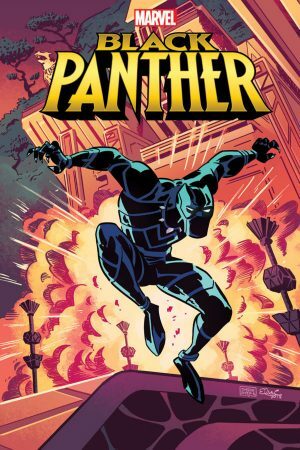 Readers of all ages can get lost in the technologically advanced African nation of Wakanda as they follow the adventures of its monarch, the Black Panther! King T’Challa is responsible for defending his people — and the world—from any threats. And he gets plenty of help — and sass — from his genius sister Shuri. A Marvelous new era begins here! 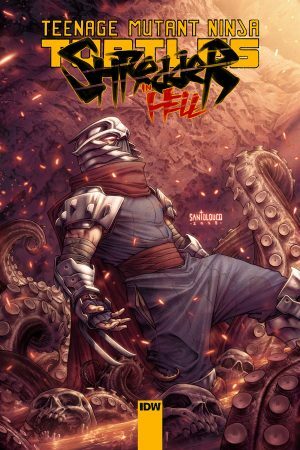 Abandon all hope… the Shredder returns in this brand-new mini-series! 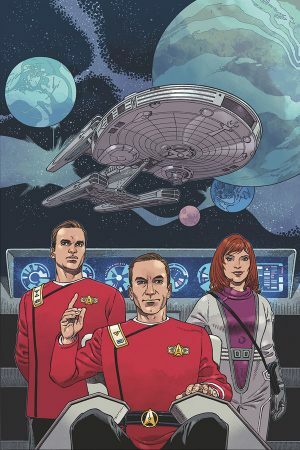 The crews of The Next Generation, The Original Series, Voyager and Deep Space 9 come together to face their biggest challenge yet! 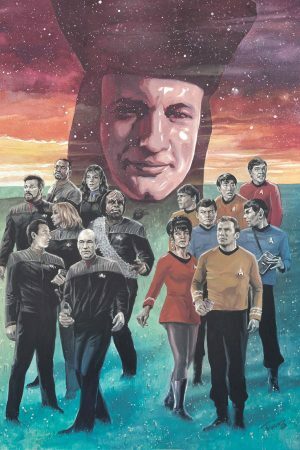 Written by Star Trek – The Next Generation: Mirror Broken scribes Scott and David Tipton! 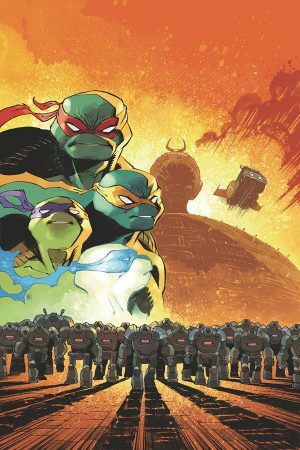 Recap the explosive year that was with an all-new Dawn Moreno / Snake Eyes adventure from living legend Larry Hama and superstar artist Kei Zama. 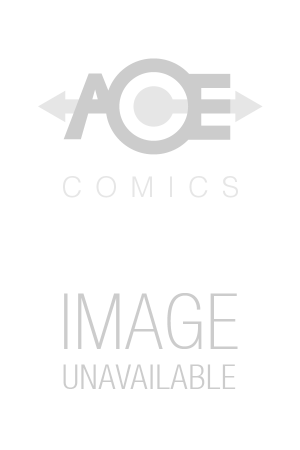 Backed-up by an original GI Joe: A Real American Hero short story by fan-favorite writer Tommy Lee Edwards and artist Davide Gianfelice, this special oversized issue is chock full of extras for old and new GI Joe: A Real American Hero fans alike!